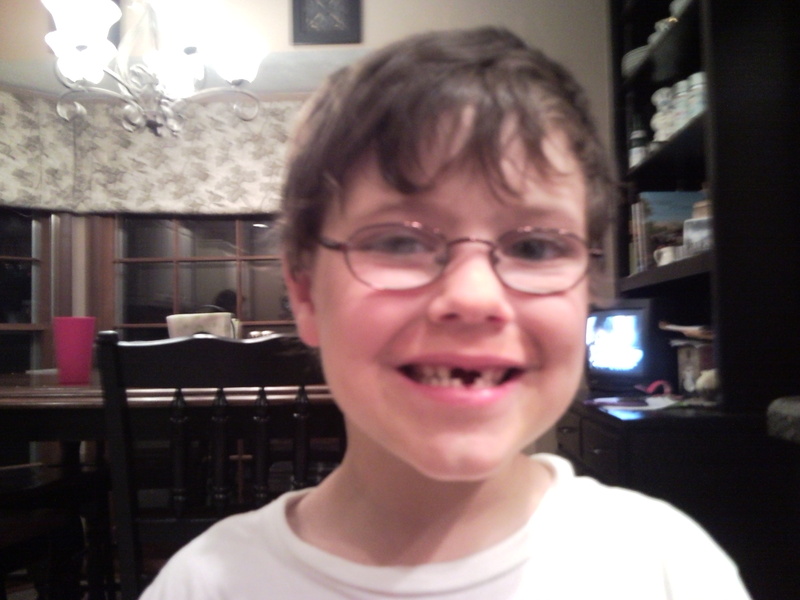 After two teeth lost in the dentist office – one after the concrete shattered it into 4 pieces and the one next to it two years later when it turned gray – Brotey lost his first tooth the way God intended. It got so loose that the back was already out. He tried to pull it himself but couldn’t figure it out. When I offered to help, he just opened his mouth and let me take hold. One quick pull and it was all over. Most of our children let them fall out in the night or get help from a cookie or some kind of sticky candy. One time, Emma and Victoria were wrestling with a blanket when they were supposed to be going to sleep. Victoria gave it a tug while Emma had it in her mouth. A tooth that wasn’t even loose yet came flying out. Children are a never ending source of amusement. Do you have any interesting tooth loss stories? You know the saying, “Words are cheap.” They are. Without action they are meaningless. It’s easy to talk a good game. It’s even easy to get a “word” from God, be challenged about something, declare our change, then move on like nothing ever happened. Words are cheap. Actions are real. Let’s stop talking about loving the world, our neighbor, and the lost. Let’s really love them. Instead of me telling you what I think that means, tell me what you think that means? Let me hear from you. I added another computer. They said it couldn’t be done, but where there’s a will…you know. 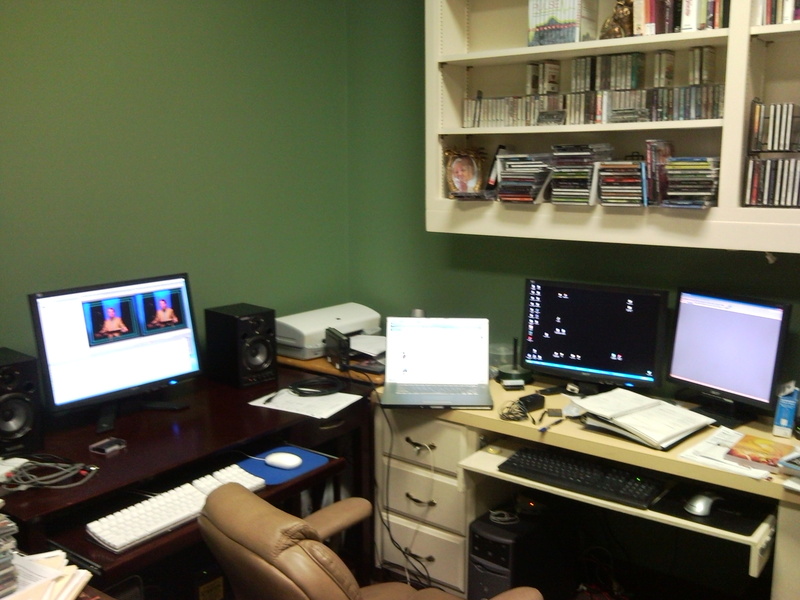 I have so much video editing to do right now that I just needed that computer right there with me. Please don’t pull anything out of my office without asking, you might bring the whole thing down. one of my favorite pictures. Taken with my Minolta Z6 in our bedroom with natural light. Why are we surprised when the world hates, downs us, suppresses us, resists us, prevents us, and totally rebels against anything we do? God told us it would be this way. If we live for Him, those who don’t know Him will not understand. They may even accuse us of evil intent. It happens all the time. The question is, does it happen to me? To you? To my church? To your church? If not, why? Like any good blogger, I chronicled Emma’s tonsillectomy for all to see (though they wouldn’t let me in the surgery room to record that). Forget the singers. Who’s diggin’ the cool microphone their using this year?